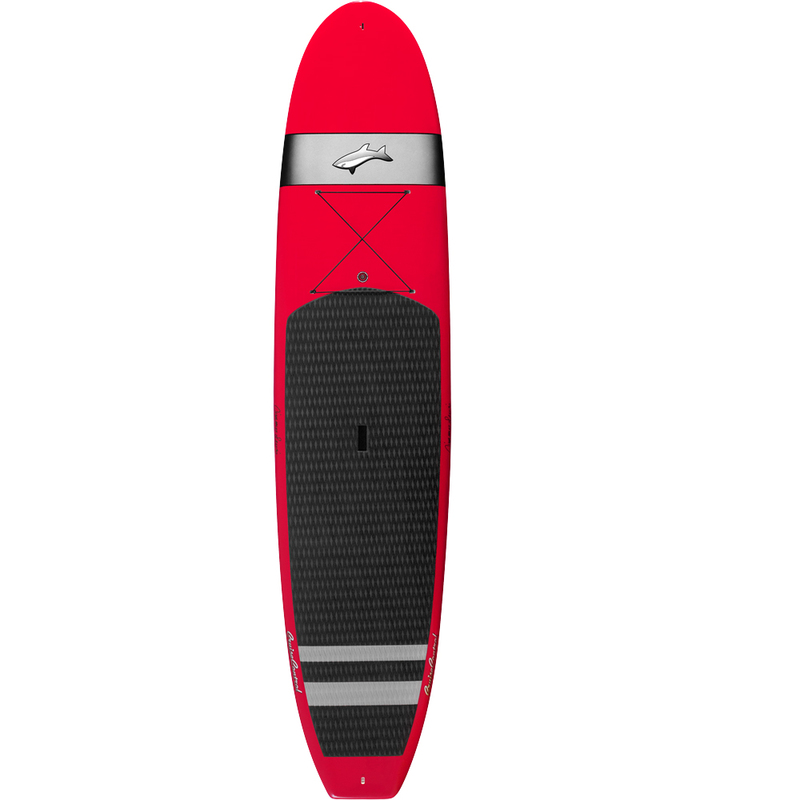 The 2015 Jimmy Lewis Cruise Control gets a bit of an overhaul compared to previous models now featuring a GoPro mount in the nose and recessed handle that everyone will love. Have no fear Jimmy hasn't changed the shape that many others have tried to replicate to give that awesome feeling you can only get on a Cruise Control. 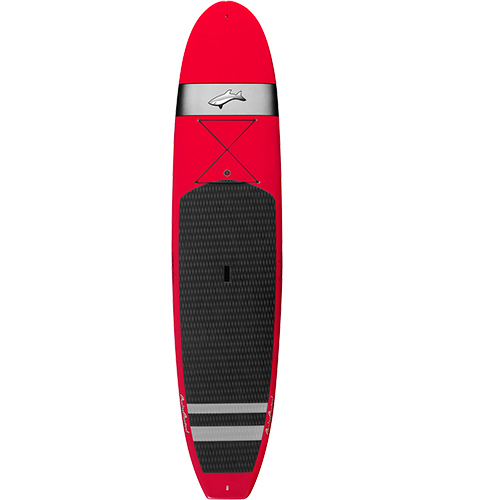 It is still the perfect board who want to do a little bit of everything and has great glide for flat water cruising. Still featuring parallel rails which help the glide of the board but are still round enough to be good in the waves. 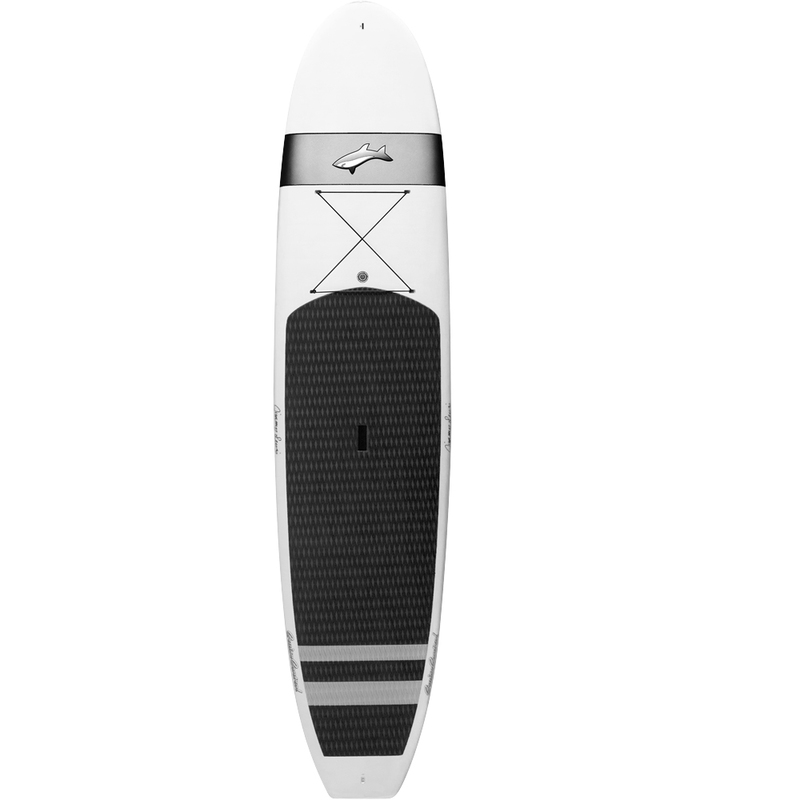 With the full nose and squash tail you can be sure the Cruise Control will be one of the most stable boards in its size. The rocker line of the board is still optimized to give you maximum glide. A self regulating Gore Vent will be sure to keep the board from blowing up like a pufferfish as you spend hours under the sun paddling or leave your board outside. With Jimmy's Signature I-Beam construction you get the strongest and lightest construction on the market. The Cruise Control is one of the best all around boards on the market! The board has spectacular finish and it is light, strong and well balanced. I really like the new handle and tie downs. The new handle makes it much easier to get the board out of the water and up above your head. Never thought a handle could be so improved. The new tie downs provide a great spot to secure your PFD and other belongings. I weigh about 200 lbs and tested all three boards. The 11’ x 30” was best all around for me. It paddled fast and surfed great on small waves. The 10’6 had plenty of volume for me but not much stability in choppy waters. I took my dog to the 11’6 x 32” to the intracoastal on a super choppy day and we did great! The Cruise control is hands down one of the best boards on the market! Jimmy Lewis’s 40+ years of board building really shows in this board. I highly recommend this as an all around board!